Anything goes when Norm Macdonald and his trust sidekick, Adam Eget, dive into hilarious and unexpected conversations with celebrity guests. 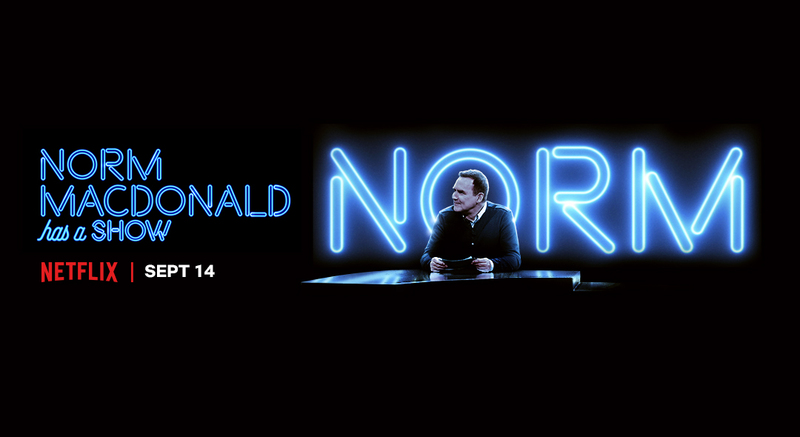 The premiere season of Norm Macdonald has a Show welcomes guests Drew Barrymore, David Spade, Judge Judy, David Letterman, Jane Fonda, Chevy Chase, M. Night Shyamalan, Michael Keaton, Billy Joe Shaver and Lorne Michaels. All episodes streaming beginning September 14.